Paul was raised in a small rural community in Northern Wairarapa, attending the local school at Horoeka. Secondary education was gained at Dannevirke High attending as a boarder. Early working life involved various farming and agricultural roles, progressing to the farming of a sheep & beef breeding unit. Thereafter moving to Whakatane in 1998 and taking over the operation of a small engine outdoor power equipment sales & service centre. Many years have been spent supporting local schools and sports organisations in various roles. As a belief is held that within the bounds of capability, an individual should be prepared to support those organisations that have supported them. Married to Sharon, and between them have six children and eight grandchildren. A spot of inshore fishing is always an enjoyable pastime; however, the boat does not get wet often enough these days. 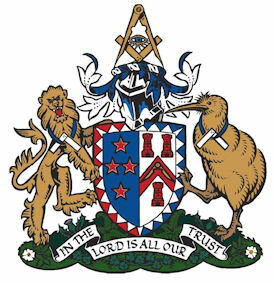 1984 Initiated in Lodge Puketoi No 149, later joining Lodge Apanui No 395 and Waikato lodge of research No 445. Glen lives at Tauranga’s popular Papamoa Beach and is married to Karen; and they have two young adult children that have left the coop to develop their respect careers. As a profession, Glen is an asset property manager previously managing a portfolio of approximately 7,500 residential social housing properties throughout the Bay of Plenty and Waikato. He is now managing and overseeing the operations of various Classic Holidays-managed holiday resorts throughout the North Island. He was initiated into Freemason at the younger age of 22 years (father and grandfather were Freemasons) and became Master in his early 30s, though had an approximate ten-year break shortly after to concentrate on his career and the arrival of his children. 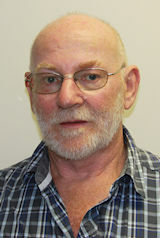 Glen enjoys travel and in his spare time undertakes both fresh and salt water fishing, and is interested in watching all sorts of sports. Ivan is retired and lives in Tauranga. He is a member of lodge Katikati No 295. 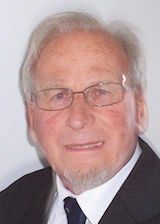 In his 9 years in Freemasonry he has been supported by Val. His appointment as Grand Steward will be enjoyed by both. Ivans outside interests have been around Sport and Fishing spending many hours on the sea and lakes. Has also enjoyed caravaning around N.Z. He has enjoyed a strong connection with his family and their support. 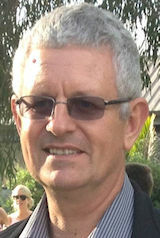 With his past experience in Sales and Marketing Management he believes he can assist in the Development of the Bay of Plenty area. He wants to see the benefits of Freemasonry enjoyed by all.